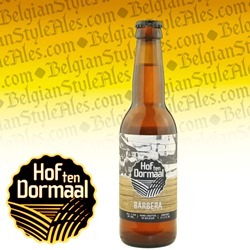 Hof ten Dormaal Brewery's Barbera (ABV 7.5%) is an original Belgian sour ale, brewed traditionally with barley malt, Magnum hops, and the sour beer strain of microorganisms native to the farm. It's a special annual release, aged for 8 months on Barbera grape must (the freshly pressed juice along with skins, seeds, and stems of the fruit). The grape skins give the pour a distinct rosy gold color; the head is medium-thick and quickly dissolving. The acidic aroma evokes tart fruits: green plums, gooseberry, and sour apple, along with yeast and grape skins. The flavor is bracingly tart, with complex tannic notes and some sweet undertones from the must. 11.2 oz bottle. 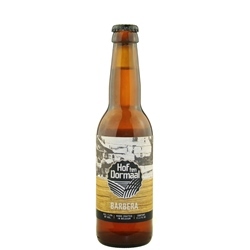 Hof Ten Dormaal Brewery was founded in 2009 when André Janssens decided to add a brewery to the family farm in Tildonk. 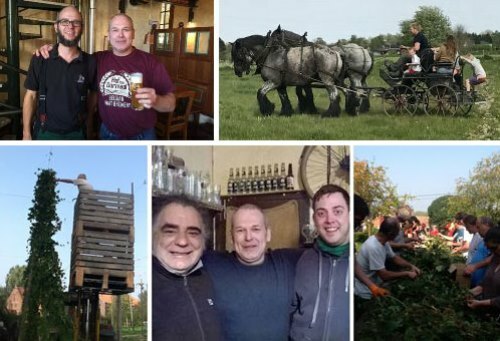 The point of the brewery was to be very traditional, yet strictly ecological. No ordinary brewery, it is designed to be nearly 100% self-sustaining. They grow all their own grain and hops, cultivate their own yeast strain, and even power the brewery with rapeseed oil that they produce. Just as important, their beers are stunning. Simple, yes, but they are designed to be – each brew containing a single grain, single hop, and single yeast strain. They are, however, nothing short of exquisite. 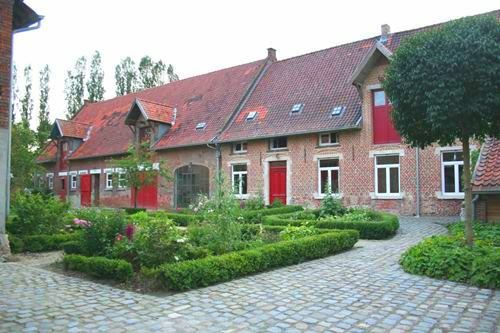 Original Belgian farmhouse ales brewed strictly via traditional methods but pushing the boundaries of Belgian styles and techniques to find their unique place in Belgium's renowned brewing culture.